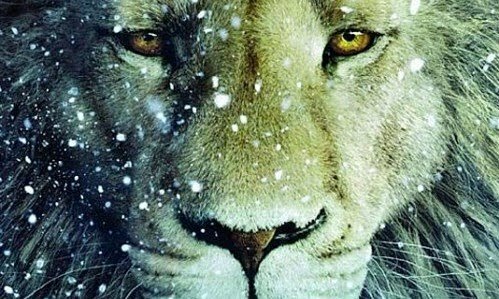 Today, I saw The Chronicles of Narnia: The Voyage of the Dawn Treader which is new in theaters. After the last installment, Prince Caspian, which was huge disappointment, I was hesitant to see another Narnia film if Disney was involved. Then I heard that Disney was out of the picture and over the next several months, I heard nothing but hopeful reports online that the producers were trying to regain what they had lost with the previous film, which was any symbolism that can be found in the book, as well as a sense of childlike wonder that the first film had. All that being said, when I actually saw the movie, I thoroughly enjoyed it. It is amazing how even if people miss the message of these stories, God allows the message to still come through, despite man's efforts to hide the Christian themes within them. Another great example of this is the film Amazing Grace directed by Michael Apted, who also directed Dawn Treader. This film sticks very closely to the book, much more so than Prince Caspian. The beautiful and powerful themes of faith, courage, overcoming temptation, and ultimately, grace and redemption all permeate through the film. This may be my favorite of the film so far, and certainly it was my favorite book. The most noble of the characters in this particular story is a brave mouse named Reepicheep, who teaches one of the main characters about courage and honor. Eustace, the spoiled and bratty cousin of Edmund and Lucy(who return from the previous story) learns some very important lessons about faith, courage, and honor from this adventurous mouse. During the course of the voyage, each child is tempted by their own sinful desires, and Eustace succumbs to his own greed when he finds a cave full of treasure. As a result, he turns into a dragon, but in the process, learns humility, and realizes he needs Aslan to save him. Instead of looking at Eustace, however, let's look at Reepicheep, because he is the one who reaches Aslan's Country, which is the title of this post. Reepicheep has all the qualities that I would like to have more of. He is courageous, loyal, hopeful, a fierce friend, and has deep faith. He longs to sail to Aslan's Country, which allegorically serves as the equivalent to heaven. He believes that it truly exists and cannot wait to get there. In the greatest hour of need, Reepicheep is there to fight. He never turns away from danger, but meets it head on. He hopes for the day when he will get to see Aslan again and travel to his country. In the film, there is a great scene where he is singing about Aslan's Country, when Lucy asks him if he really believes that it exists. His answer is "We have nothing if not belief." I will go ahead and draw out an application from this character. If Aslan's Country symbolizes heaven, then I think Reepicheep helps us see how we ought to be. Do you long for "Aslan's Country" like the mouse? Do we seek to bring hope to a broken and sad world while we are here? I've found that the older I get, the more I look forward to heaven. One gets weary of this life and longs for a better world to come. Good post, Tyler.